When you see a Cub Scout in uniform, you immediately know what organization he is a part of. The big patch on his shoulder identifies which council he is a part of, the unit numbers identify the pack, and the rank patches show the achievements he has proudly earned. You know he is a part of Pack and has participated in Pack events such as camping, hiking, and is involved with positive programs such as "Leave No Trace Behind" and "Scouting for Food". A Cub Scout uniform is a visible statement of a young boy's individual accomplishments and recognitions. It is provided for them to not only show them that they are part of a group, but a long tradition of of building character, physical fitness, practical skills and service. It is an immediately recognizable component of scouting, which is why it is important for the scouts to properly wear and respect the uniform and its traditions. With the start of the new year, a new school and a new pack we have an opportunity to proudly display our scouts accomplishments and friendships. The best way to do this is to make sure your scout's uniform meets the guidelines set by the Boy Scouts of America. In this post I have included a Pack 438 Uniform Inspection Checklist. As noted on the document, I don't intend on holding regular inspections, but I hope that we can work together as a Pack to help our boys meet the BSA guidelines and see the value in wearing their uniforms. It may be as simple as making sure the patches are in the right positions, helping to find a lost neckerchief or slide, or making sure that the uniform is neat and tidy. For new members, I've also attached the Pack 438 Scout Shop uniform checklist. This includes a list which has the items required for our Pack already preselected. Print it out, add your Scout's name and Den number and present it to the associates at the Scout Shop and they will assist you with completing your purchases. 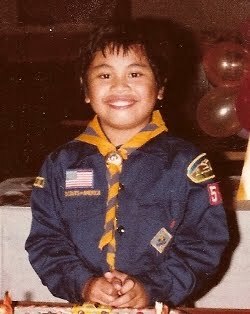 Again, the uniform has always been an integral piece of the scouting experience. It brings the boys together as one cohesive unit, giving them the feeling that they are part of a Pack. By helping our scouts learn and understand the importance of being neat, responsible for their uniform and proudly displaying their achievements, we as akelas will know that we have helped them to build character and integrity.